Cardiovascular endurance is the ability of your cardiovascular and respiratory systems to work properly while under the stress of a challenging exercise session. These systems include your blood, heart, blood vessels and lungs. As you strive to increase your cardiovascular endurance, you may be surprised at how quickly aerobic exercises improve your physical fitness level. Incorporate a variety of cardio exercises into your weekly schedule to reduce your risk of overuse injuries and to maintain your motivation. Walking and running are forms of cardiovascular exercise, which when performed every week, improve your cardiovascular endurance. Begin your walking or running program gradually, starting with just 10 or 15 minutes of exercise a session. When your shorter run or walk begins to feel easy, increase your time by five minutes every week until you are consistently exercising for 30 to 45 minutes a session. Continue to improve your cardiovascular function by walking or running faster and farther during subsequent workouts. Both fun to perform and effective in building cardiovascular endurance, step and dance aerobic classes are ways to enhance your aerobic capacity and interact with other fitness enthusiasts. Generally led by a certified group fitness instructor, the classes range from 45 to 60 minutes. Constant movement arm movements, step changes and challenging choreography give you an opportunity to tone your upper body muscles while you are improving your cardiovascular endurance. If you are unable to join a class, use a DVD at home alone or with a group of close friends. Add a class or two to your weekly schedule. Swimming and bicycling require constant aerobic effort which improves your heart and lung strength. Riding a road bike and freestyle swimming burn a similar amount of calories. 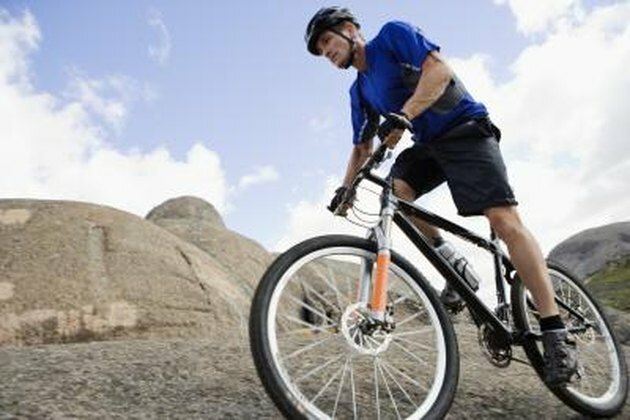 Develop your leg muscles and challenge yourself by riding up hills on a road bike. 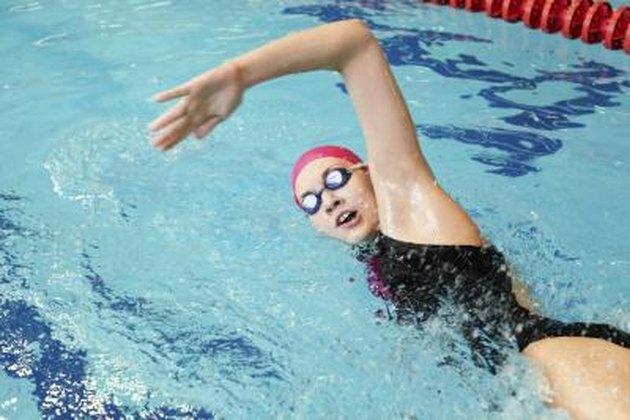 When swimming, alternate strokes every four laps to work different muscle groups as you are building your aerobic endurance. You can improve your cardiovascular endurance at home by using the stairs for exercise, using a mini-trampoline or working out with a DVD. Walk up and down your steps for three, 10-minute sessions to build your cardiovascular strength. Jump, twist and kick on a mini-trampoline for three, 10-minute sessions. Having alternatives to gym or outdoor exercise can help you workout at least three times a week when you are unable to leave your house. How Far Is 400 Yards on a Treadmill?